The firstborn child plays a special role in the life of each family. He or she helps ease (or shock) their mother and father into the parenting role, is usually the clear winner as the sibling with the most baby photographs, and holds a special place in his or her mother's heart. The firstborn is the reason each mother became a mother. 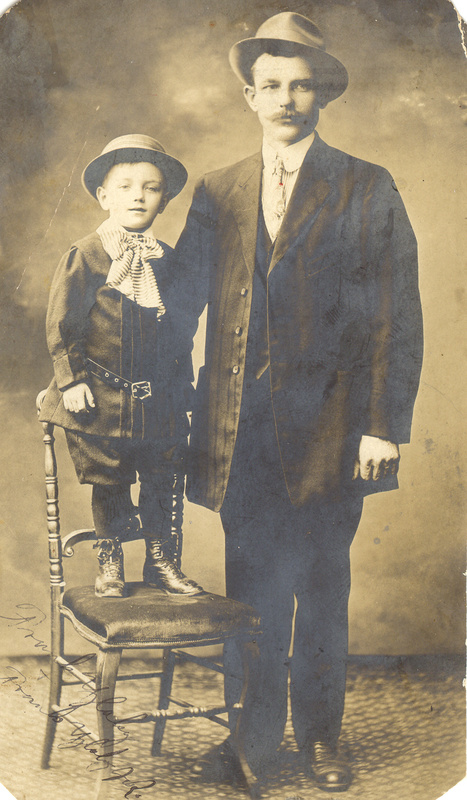 It was no different in the Ujlaki family with firstborn son Ferencz (later called Frankie). His parents first learned of his coming when they were thinking of immigrating to the United States from their native Hungary (they lived in an area that is now part of Croatia). Concerned that he would have difficulty pulling himself away once the baby was born, 27-year-old father Ferencz (later called Frank) sailed on ahead to establish himself in America and waited for news of the baby's birth. 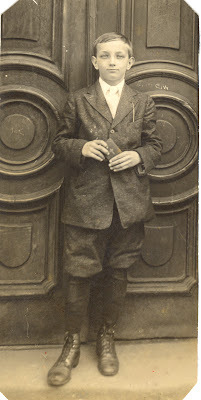 Young Ferencz came into the world on May 9, 1906, a month after his father's departure. He and his 22-year-old mother Ilona spent some time living with her mother-in-law Teresija Globlek, but according to family legend, left because Teresija had the habit of keeping the money sent by her son for his young family. While Ilona waited for baby Ferencz to grow, they stayed the rest of the time at the home of her parents, Stjepan and Magdalena Bence, in Legrad. 1909 arrived. Little Ferencz was now 2 1/2 years old and it was time to make the voyage to America. 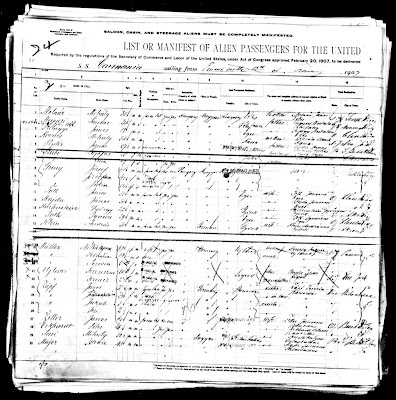 They sailed on the S.S. Carmania from Fiume on February 13, 1909 and arrived in New York seventeen days later on March 2, 1909. The trip must have been a true trial, and their suffering did not end once they stepped on land. when he had set out for America three years before. 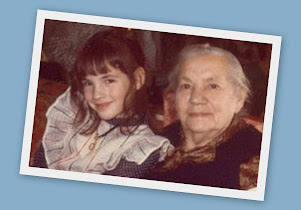 After embarking at Ellis Island, Ilona's young son was diagnosed with measles, separated from her and quarantined at the Ellis Island hospital. Several days later, the reunion of the little family - father, mother and toddler son - must have been a moment a joy and relief. 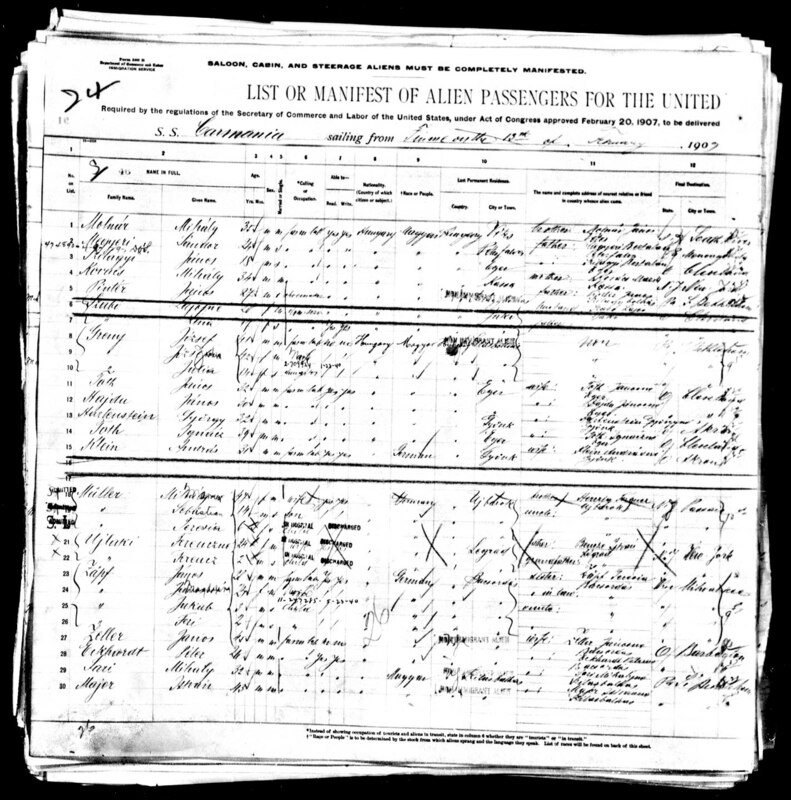 The Ujlaki family settled within Manhattan's Lower East Side along with many other immigrant families. 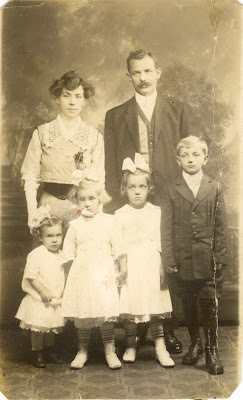 In 1910, they lived at 415 Fifth Street and welcomed a new baby girl into the family. The wedding of Peter and Maria Gres. their young namesakes at their sides. 1911 and 1913 saw the arrival of two more little sisters for Frankie. The 1920 census finds the family living at 431 E. 16th Street. Frankie is age 13, his sisters are Helene, age 9, Marie, age 8 and Wilma, age 6. The Ujlaki family attended Mass at St. Stephen of Hungary on 14th Street. 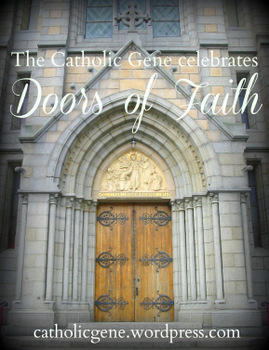 (This parish would continue to play an important role within the family for many years, even after relocating to its present address uptown on 82nd Street in 1927). 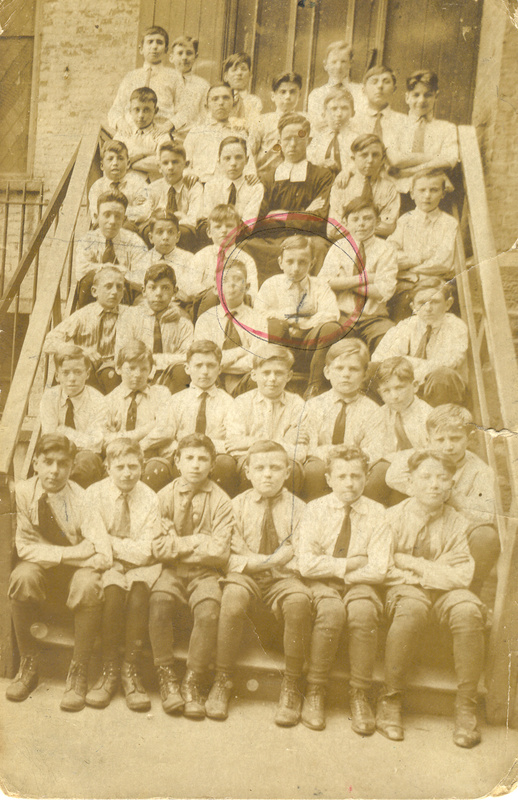 The Hungarian parish did not yet have a Catholic school, so Frankie (and more than likely, his sisters) attended school at the parish school run by Immaculate Conception Catholic Church (which was also on 14th Street). During the years 1906 to 1917, this parish was one of the largest within the diocese and educated more than 3,000 students within its crowded classrooms. 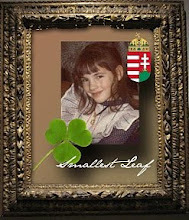 Many of them were the children of European immigrants like Frankie. The girls were taught by the Sisters of Charity. 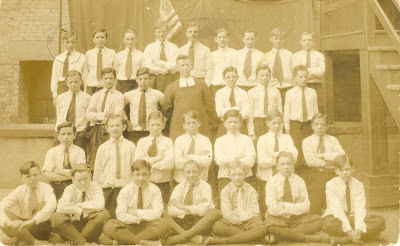 The boys' education was provided by the Christian Brothers, such as Brother Aloysius who figures prominently in these class photos from about 1917-1919. Two class photos from Immaculate Conception Catholic School. Teacher Brother Aloysius is the central figure in each of them. Frankie Ujlaki is the boy circled in each photo. Despite his family's difficult start after their emigration from Hungary to America, the Ujlakis had succeeded in providing for their family and giving their children an opportunity to receive a Catholic education. Frankie's young life was off to a good start, but tragedy would strike in his teen years that would alter the path of his life in a dramatic and devastating way. I'll tell the rest of Frankie's story in my upcoming article: F is for Frankie Ujlaky and a Forgotten Epidemic. 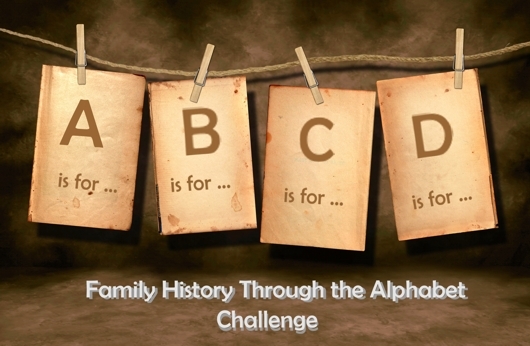 This article was written as part of the Family History Through the Alphabet Challenge. Follow me here at 100 Years in America as I try to keep up with the challenge to work through the alphabet while writing my family history. I'm way behind getting started, but here goes!